Hey everyone, thanks for coming back this week for Monday Money with Josh! This week, I’m going to cover another hot topic in the personal finance industry, balance transfer credit cards. Why? Well, they are great financial tools but, misleading posts online could lead consumers to choosing this option when in all actuality, the option is the furthest thing from what they need. So today, I’m going to talk about what balance transfer credit cards are, why balance transfer credit cards are the center of such promotional posts, when they might be a good idea and some of the requirements you are going to need to meet to qualify for the offers that are worth applying for. 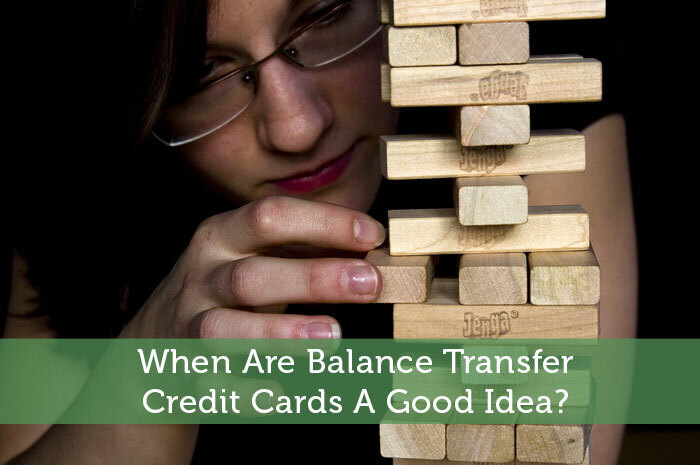 Balance transfer credit cards are a product of a competitive lending environment. Because so many lenders offer credit cards, they had to start coming up with ways to make their offers better than the next. To do so, balance transfer credit cards were created. These cards offer you the ability to consolidate multiple debts into one card by using your new card to pay off other debts completely. They also generally provide hard to resist promotional interest rates and competitive long term interest rates to make the transfer worth while. Why Are Balance Transfer Credit Cards The Center Of So Many Promotional Posts? It’s no secret, balance transfer credit cards are all over the place. Some articles take a very realistic approach but, many that I’ve found have been so overly promotional that I almost wanted to apply for one and I don’t even have a balance to transfer! But, why are so many authors writing promotional posts about these offers? Well, there is a commission on a per approval rate for the advertisement on most blogs. Balance transfer credit cards tend to come with some of the highest commission rates. So, why would I want to tell you this? Well, there are tons of posts out there that make you feel like a balance transfer credit card is your only option. I strongly disagree with these kinds of posts and think that you have a right to know why even well known authors stoop to writing incredibly persuasive posts about these offers. Hopefully, the warning will make you want to really think about your decision before making it! As I’ve stated several times before, balance transfer credit cards are a great financial option for the right candidate. However, it’s important to make sure that you are the right candidate before taking on the task of transferring a balance. That being said, balance transfer credit cards are not designed as a debt relief option, they are more like a reward for those who have kept their accounts in good standing. That being said, if you are facing a financial hardship, you may need a more comprehensive debt relief option. It’s also important to think about how a transfer will change your credit history. It’s always best to stay with your current lender and show that customer loyalty that all banks love. That being said, if you are a good candidate for balance transfer credit cards, you may be worth a bit of special treatment to your current lender. So, before you transfer your balances, consider calling your lender and negotiating a better interest rate. If your lender isn’t willing to negotiate and you are not facing any type of financial hardship, balance transfer credit cards just might be a good idea. That is, if you meet the requirements. Good-Excellent Credit Scores – To qualify for any balance transfer credit cards that are worth applying for, you are going to have to have pretty good credit scores. Being turned down for too many applications will bring your scores down so, if you are declined twice, don’t apply for a third. Start by working on your credit score and in about a year, revisit the balance transfer idea. Great Debt to Income Ratio – Remember, balance transfer credit cards are designed to attract the customers that are most likely going to pay their debts back in a timely way. One thing that is often forgot about is how debt to income ratios may be taken into account. A good credit score may qualify you for the card but, a good debt to income ratio will qualify you for the credit line you need to be able to make your transfer(s). When Are Balance Transfer Credit Cards A Good Idea? I think balance transfers are just a tool, but they have to be used responsibly. I used them to help me pay down my debt and if I didn’t have them, then I would have paid a lot more in interest. You have to make sure you can pay off the transfer balance before the end of the promo period or you will be in trouble. Great advice Grayson and, yes, I do agree, they are no more than a tool! Thanks for your comment! It all depends on what they motivate you to do. If you’re savvy enough to not miss payments and to make a plan on how to pay the balance off before the rate resets, then they’re very helpful. If it convinces you to spend more or if you’ll miss a payment, it could hurt a lot. The most important thing to remember is that credit card companies do this because it makes them money — largely from their customers. Be smart about it and think of it from that place. Something of a disclaimer: I used one earlier this year and it was a huge help in giving me space to pay down my other credit card bills and get started on my student loans. I would almost certainly be muddling through double-digit debt right now if not for the transfer. Thanks for your comment. I’m glad balance transfer credit cards worked for you as I’m sure they will work for others who use them properly. What might be a safe target credit score, in your estimation? I would say high 600 or low 700 but, it really depends on the card. Did you change your layout? Why does your site look different to me? Jeremy did make some big changes to the design. It’s a lot different and I think much easier to navigate. Thanks for noticing! While I can see the point to wanting to do a balance transfer to a zero APR, in general I don’t have an interest in owning multiple cards. That was part of how I got into trouble with credit in the first place. That makes a lot of sense Edward. Balance transfer credit cards just aren’t good fit for everyone. They are only good for consumers who have an incredibly good use for the tool. However, if your rates are crazy high, you may want to consider transferring your balance and closing your card all together. Thanks for your comment! Our friends who are in a pile of credit card debt did just that with their cards. They were opening new cards and transferring to 0% cards. They still didn’t get anywhere because they just kept spending. I think if used responsibly it could be a tool as mentioned. Thanks for your comment and raising this very real concern. The deal is, it only helps if you work toward debt freedom. Yes 0% is great but, eventually you will need to pay off your debts before you have no choice but to pay interest. That requires putting the credit card away and forgetting about it until the bill comes each month. I agree – balance transfers can be great when used responsibly. If you’re going to BT simply in order to spend more, don’t bother. If you’re BTing in order to pay less interest as you pay debt off for good, go for it, provided the terms are good. Laurie, I couldn’t agree more. The only worthwhile transfer is a purpose driven transfer. This process should only be considered by those who plan to use it for debt freedom! Thanks for your comment! I am a believer in balance transfer cards but only if used carefully. I’m seeing transfer offers now for 0% interest at 21 months! You must take into consideration how much you can pay monthly on top of the transfer fee so that you DO pay it off in full on time. From my limited understanding, I know a lot of balance transfers charge you retroactive interest if it’s not paid in full so you have to watch out for that.